Trigge, Thomas (fl. 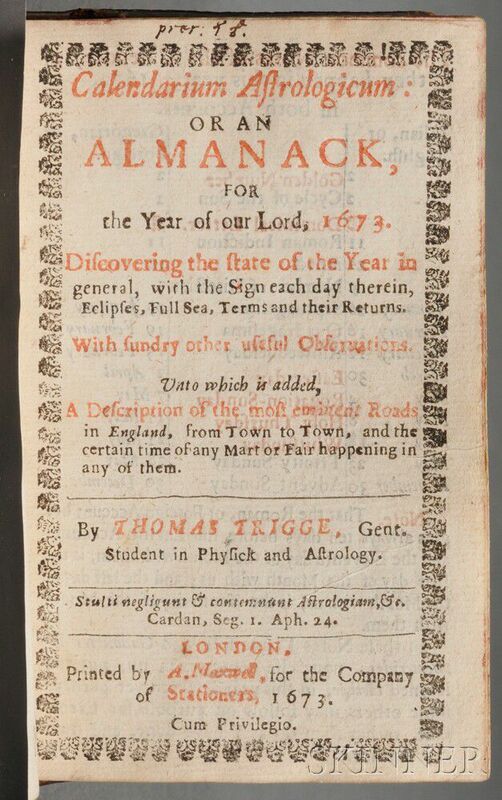 circa 1670) Calendarium Astrologicum: or an Almanack, for the Year of our Lord, 1673. 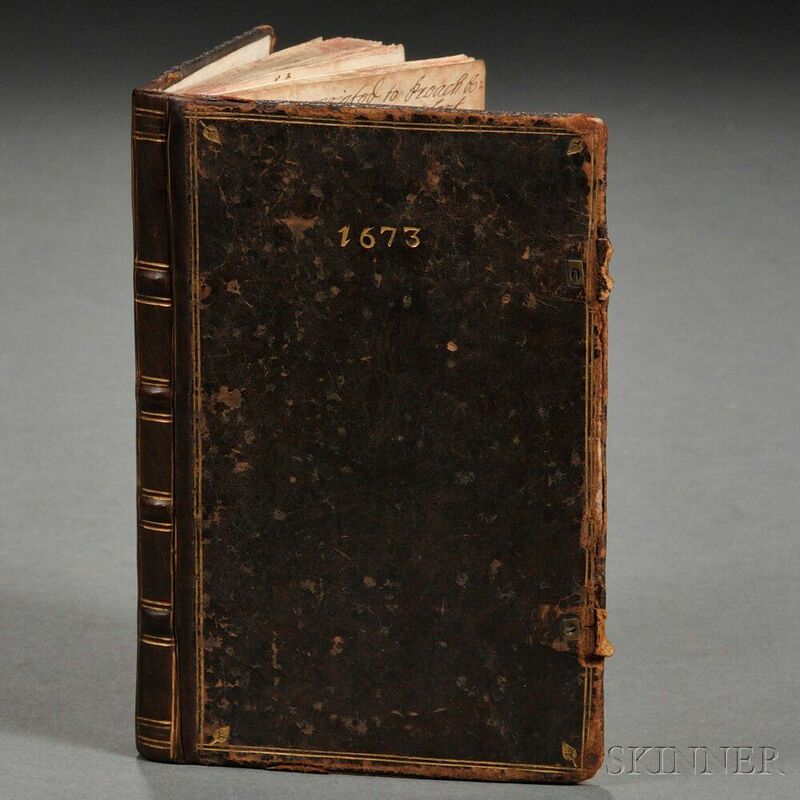 London: by A. Maxwell for the Company of Stationers, 1673. Octavo, title page and calendar printed in red and black, title in a type ornament frame, bound in contemporary speckled calfskin boards, with catches, the dated tooled on the front board in gold, gold double-fillet rules, small acorn tools in gilt at board corners; blank leaves bound in as follows, nine leaves before the title, two leaves bound between each page of the calendar, (signature A), fifteen blank leaves after the last leaf of printed text; text block with contemporary marbled edges; with notes on sermons on some blank leaves, including mention of sermons by Baxter, the text quite clean, binding neatly rebacked, 5 1/2 x 3 1/2 in. 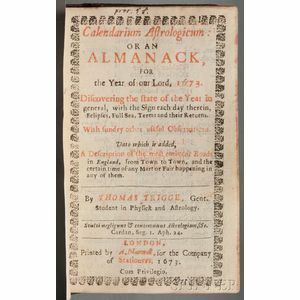 A rare ephemerides, or almanac, ESTC locates only one copy in U.S. libraries, at the New York Public (see ESTC R34325). Adams, Samuel (1722-1803) Signed Military Commission, 8 March 1796. Barnum, Phineas T. (1810-1891) Quit-Claim Deed, 15 October 1888. Bill W., [aka] William Griffith Wilson (1895-1971) Typed Letter Signed, 27 July 1943. Brown, John (1800-1859) Autograph Note Signed and Endorsed Check, 1 December 1859. Buchanan, James (1791-1868) Document Signed, 3 May 1858.